The Haworth hotels listed below are either in the town or we have given a rough guide as to how far they are from Haworth. We hope you enjoy your stay and find your ideal accommodation. In picturesque Haworth, Weavers is a historical house offering traditional breakfasts and an acclaimed restaurant. The rooms have free Wi-Fi and scenic views across the Pennine landscape. Located below the wild moors of Wuthering Heights, this guest house is close to the top of the cobbled centre of Haworth, and a short 3-minute walk from BrontÃ" Parsonage. Haworth, in the heart of BrontÃ" country, is a truly inspiring place to visit. We are situated in the centre of the village on Haworth's famous cobbled Main Street and offer top quality service in a relaxed and informal atmosphere. 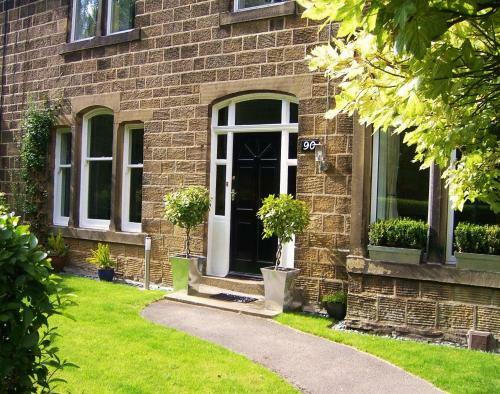 The Thyme House is in Haworth, former village home to the Bronte sisters, on the Yorkshire Moors. It combines period features with modern rooms featuring free Wi-Fi and countryside views. For hotels accommodation in other areas nearby see Ilkley hotels & Skipton hotels.